ANAKBAYAN is Philippines-wide, comprehensive, national democratic mass organization of the Filipino youth. Established on the 30th of November 1998 – the birth anniversary of Andres Bonifacio and founding anniversary of the pre-Martial Law organization, Kabataang Makabayan – it seeks to unite the youths from different sectors of society to advance the cause of national democracy: workers, peasants, fisherfolk, urban poor, students, out-of-school youth, women, professionals, migrants, Moros, Christians, etc. It is open to all Filipino youths (ages 13-35 yrs. old) as long as they are willing to actively uphold the Program of the Organization. ANAKBAYAN holds the belief that Philippine society today is not truly free nor democratic. It is under the control of U.S imperialism, along with local landlords, big capitalists, and corrupt gov’t officials. The National Democratic Struggle seeks to realize true national liberation for the country and the realization of the democratic rights of the people. 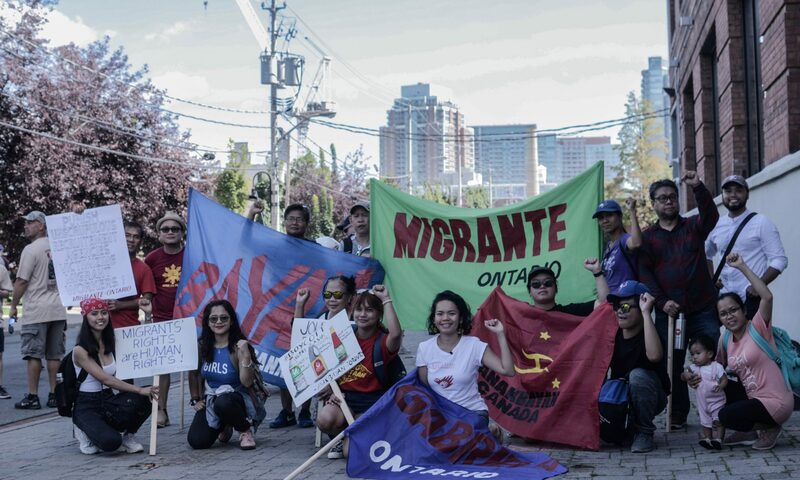 ANAKBAYAN Toronto is one of the overseas chapters of ANAKBAYAN, which started taking shape in May 2011. Since then, we have been conducting advocacy on Philippine issues and those affecting the Filipino community in Canada. We also work with other Filipino and non-Filipino organizations with similar aims and objectives.